This was a personal project by CTT founder Christopher Cox. Way back in 2008 I created a slew of posters to support the young and exciting candidacy of Barack Obama. 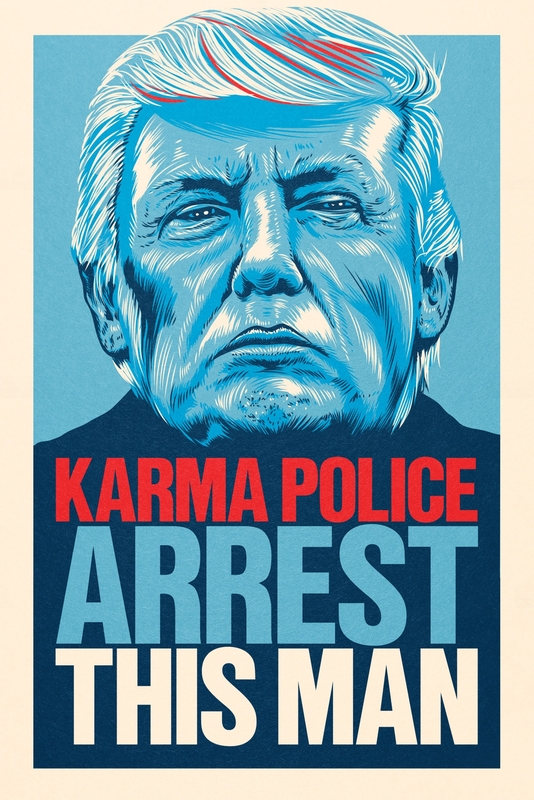 The posters were such a success that hundreds of thousands were downloaded from my blog (www.changethethought.com). I was invited to exhibit at the Manifest Hope show curated by Shepard Fairey. I was published in numerous books, one such books was even edited by Spike Lee. This lead to an invitation from Moveon.org to create several materials including stickers, tee shirts and posters. Flavor Flav wore one of my tee shirts during his performance at the Democratic National Convention in Denver. And Michelle Obama wore my ‘Obama Mama’ button at a private dinner to raise money for the campaign. Denver was awash in people shilling my images, enough so that I felt a little slighted, but still I knew I was contributing to history. It was an exciting time. But 2016 is much different. This is the most divided I have seen this nation in my lifetime. It is a critical moment. A defining moment. 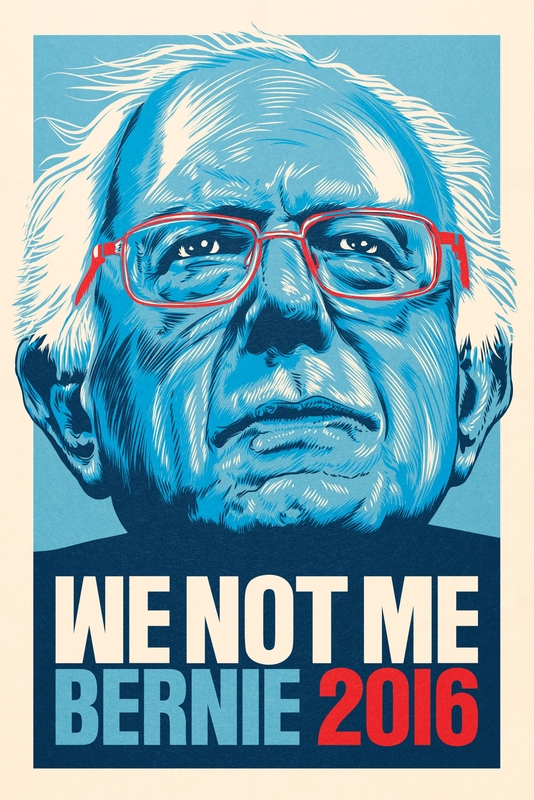 And I am supporting Bernie Sanders. 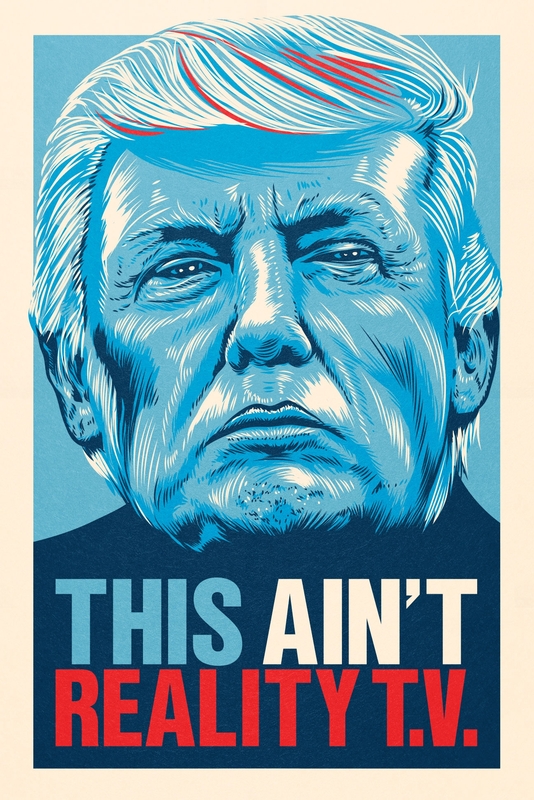 With that said, I have created a new series of posters. One pro-Sanders and another anti-Trump. I have yet to decide if I want to post the source files for sharing, as last time my imagery was used everywhere from Newsweek to Forbes without anyone so much as trying to seek me down to give me credit so I could at the very least be recognized for the work. Until then, the posters are large enough here that I have no doubt they will quickly be stolen. But again, it’s important to be on the right side of history in this moment. And I would not live up to the name Changethethought if I didn’t contribute another iconic image toward a cause I whole-heartedly believe in. 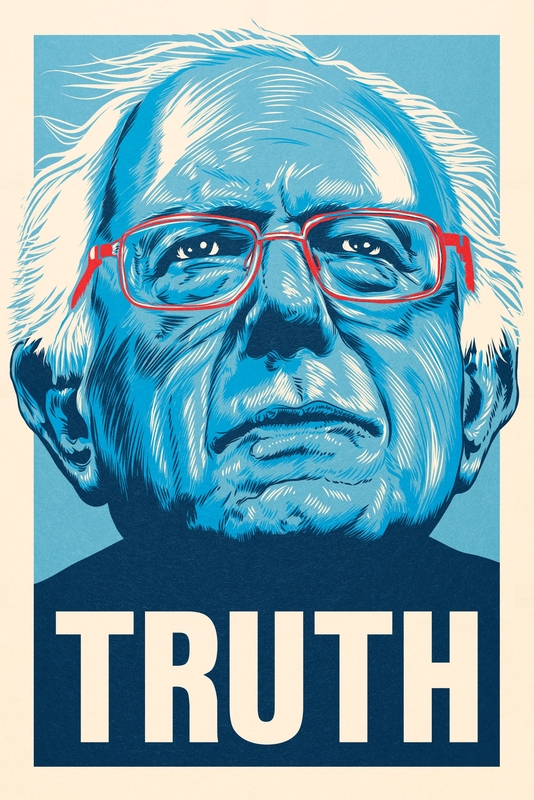 And yes, if Clinton wins the nomination, I will create posters of her also. As of now, the ‘We Not Me. 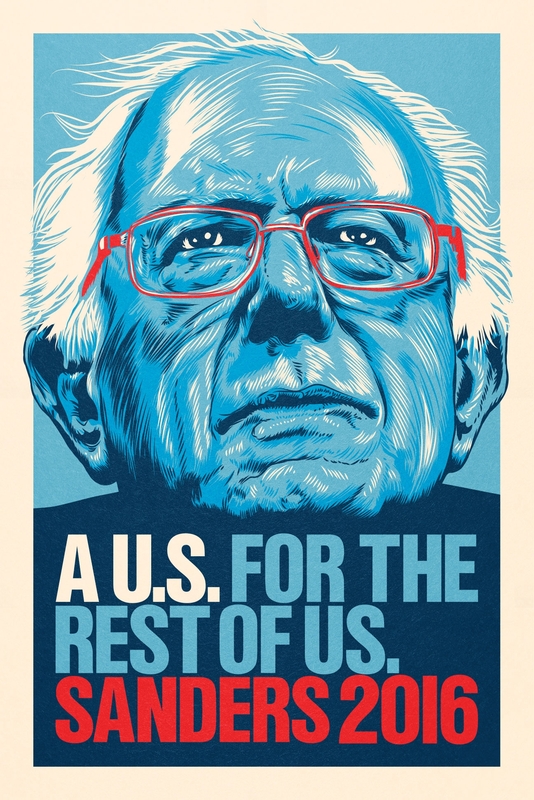 Sanders 2016’ posters will soon be for sale via a joint effort on the Behalf of Spoke Art, Artists for Bernie Sanders, Moveon.org and the official Sanders 2016 campaign. 500 numbered screen prints at 18×24 will be released. All profits will be donated to the campaign. And please, I beg of you… if you use these images in an article that promotes the sale of your magazine, publication, etc. or if you use it in a blog post, please link back to my site and credit me with the creation of the illustration. Thank you. 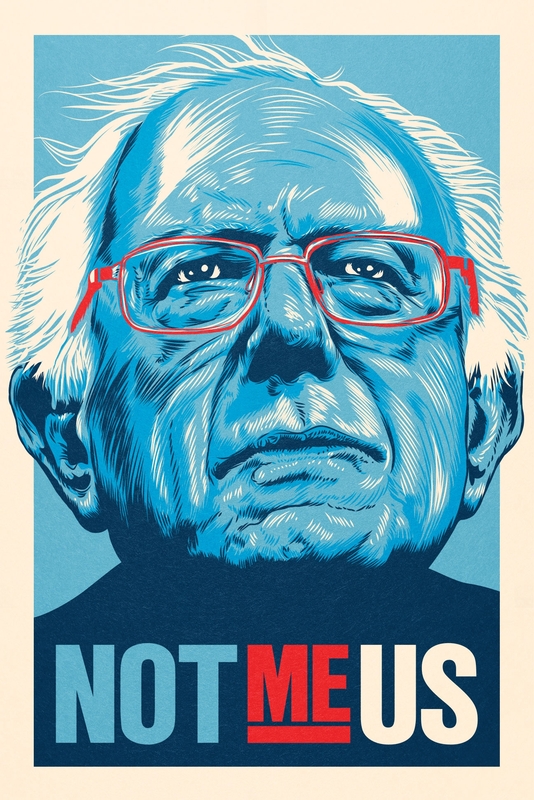 News update: The We Not Me version of the Bernie Sanders poster was printed as a limited edition screen print and vinyl sticker by Spoke Art. The proceeds were directly contributed to the Sanders campaign. 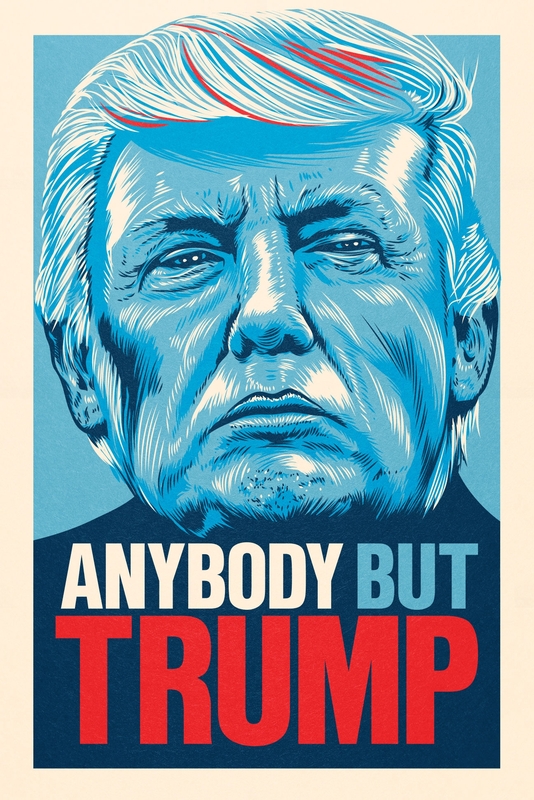 The same poster was also featured in an article on Politico.com. All of the images you see here are © Copyright Christopher Cox/Changethethought 2016.